You enter the museum because you just have to know wtf a huge sub is doing here, in 37 degree heat. 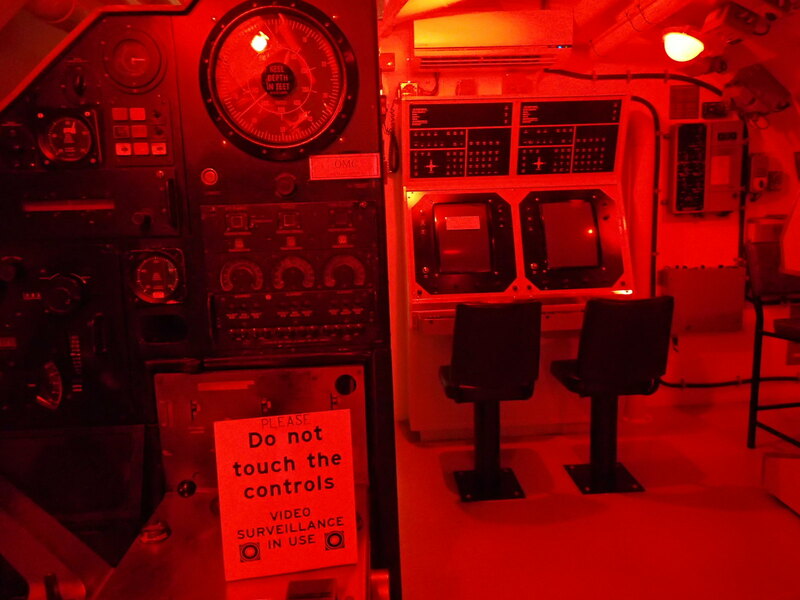 A large portion of it is given over to a patchwork of original submarine fit-outs and control panels, from different decades. An immersive space, it includes roof to floor switches, buttons, levers and knobs. The array of controls is overwhelming. You just. have. to. press. a. button. Then you find you’re not allowed to touch. I was reminded of Tim Svenonius’ recent Art:21 piece Careful Not to Touch. This space in Holbrook screamed hands-on, far louder than “the prohibition against touching [which] is so deeply entrenched in museum culture that it is seldom even stated”. Here, the museum had to step it up, becoming a stern teacher with etiquette a hand-written afterthought. ohh what a shame – it’s the perfect opportunity to drive a sub!